Choice of Color Array as well as Black, White or Silver body color. The ETC Selador Desire D40XTI™ LED luminaire gives you the most flexible color mixing for your building. 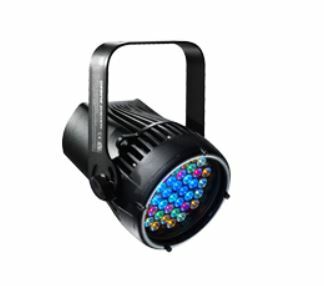 Featuring the x7 Color System™ - which combines up to seven colors at the source for the broadest color range available from an LED - the D40XTI is a rugged, durable fixture ETL 1598-rated for permanent indoor use and IP66-rated for long-term outdoor use. Smooth dimming, all the way down to zero. The D40XTI features Selador Desire®-quality dimming capabilities, transitioning its intensity like a conventional fixture, without noticeable steps.